Featuring early career performances of two of my favorite South Korean actors – So Jisub and Kwon Sang Woo – the charming K-drama We Are Dating Now (2002) is a delightful change of pace from the more melodramatic series that I generally gravitate toward. From the first episode, I was hooked on its engaging characters and somewhat whimsical story line as well as its emphasis on ordinary, relatable people and their families. Its leading actress, Chae Rim, was already familiar to me as the ‘good girl’ lead in All About Eve, and in We Are Dating Now she is even more endearing -- like a Korean Sandra Dee. What is this drama about? Unlike other dramas I’ve watched, We Are Dating Now has a very simple plot line. It is not so much what happens in the story, but more what happens to the characters we are introduced to. Primarily, the series focuses on the difficult path to finding true love, finding yourself, and balancing the need to be independent but with loyalty to family as well. Most of us can surely relate to that! The story is told mostly from the perspective of its bubbly heroine, Ho Jung Yoon (Chae Rim). She is an idealistic, warm-hearted young girl who persists in loving not wisely but too well. Her family consists of her overbearing mother (Kim Young Ae who recently died, RIP), the primary breadwinner in the family who drives a taxi, her gentle, hen-pecked father (played with sympathetic warmth by Han Ji Hee), a wise maternal grandmother, and younger brother Ho Jae (the wonderful Kwon Sang Woo) who is an immature charmer here, primarily interested in finding a rich girlfriend to support him. Ho Jung has a best friend who is as close to her as a sister. Su Ji (Lee Eui Jung, a tiny girl skilled at both comedy and drama), is the studious, bespectacled only daughter of wealthy parents (mother Eun Sook Sunwoo, an obstetrician, and lecturer father Hyun Sik Im, a doting dad who calls his daughter Princess).  The two girls adore each other and their loving bond will resonate with any woman who has a childhood best friend (as I do in my friend Jill who created this kdramalove website). Su Ji’s parents love and spoil her, but it has not gone to her head. Her personality is warm, sympathetic, and generous, but she is way too soft-hearted for her own good, especially when it comes to her best friend’s brother Ho Jae. He is infuriatingly selfish, and enjoys teasing her even while borrowing money from her to take his girlfriends out on dates – but she is reluctantly drawn to him anyway. Renting the apartment downstairs from the Yoons are Kyo In Choi (So Jisub, who as always is a man you can’t take your eyes off) and his hard-working older sister Kyos Sun (Na Woon Kim). Kyo In is reserved, intelligent, and can be prickly but he has a good heart and kind nature. He becomes best friends with Ho Jae and later forms a bond with Ho Jung as well when he tutors her in drill instructor type fashion for her college entrance exam. Theirs is the primary love story in this drama, but curiously, it is less interesting in its development than the secondary love story (more on that in a minute). Instead of falling for Kyo In, the boy next door, Ho Jung embarks on a series of disappointing and usually one-sided romances. The earliest one (used to introduce us to Ho Jung as a little girl) is with a chivalrous classmate named Jeon Woo. However, this romance is cut short when her family moves away (winding up in the house where Kyo In and his sister will later rent out the lower apartment). Sung Si Kyung, you can sing to us anytime, baby! 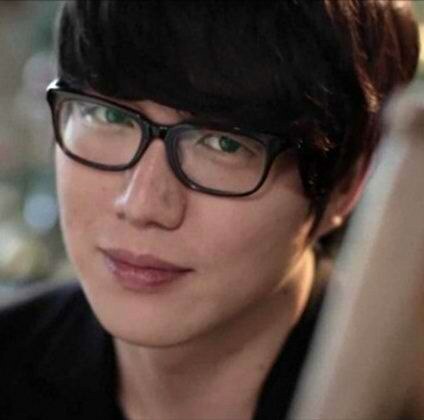 As a teenager, Ho Jung befriends and develops a huge crush on a serious college student named Jae Young (played by Sung Si Kyung, in real life an accomplished singer of K-drama themes and ballads who, with his gentle face and wire-rimmed glasses, reminded me of Bae Yong Joon from Winter Sonata). But Jae Young thinks she is too young for him and just sees her as a friend, though he does not exactly discourage her attention either. Ho Jung is devastated when she learns that he is instead taken with her classmate Cha-hee (Yoon Young Choi), a bold and self assured beauty who could not care less if one more man finds her attractive. The indignant Ho Jung confronts Cha Hee, impulsively betting her that Jae-young will not want to have anything to do with her if he learns she is only a high school student and not in college like himself. Cha Hee is confident that Jae Young will still be interested in her no matter what, and she’s right – so she wins the bet with Ho Jung. The surprising development here is that the encounter between the two girls forges an enduring friendship. Cha Hee is one of the drama’s most intriguing characters, though she remains rather a cipher. She was born as the result of her mother’s affair with a married man who went back to his wife. After seeing how her mother was betrayed by a man, Cha Hee has resolved to keep her heart to herself. Even though she is not vulnerable to romantic love (at least not yet), she does long for a good friend. Impressed with Ho Jung’s spirit and strong character, she promises to keep away from any man that Ho Jung likes in exchange for winning her friendship. After the Jae Young debacle (which disappoints Su Ji also, because she was able to vicariously love him too through her friend’s involvement with him), Ho Jung falls for another young man whose feelings for her are suspect. He is a struggling student, working several jobs to pay for his tuition. Ho Jung actually lends him money for school, and he repays her by taking up with another girl while away at college. Ho Jung maintains her dignity, but she is beginning to realize that her trusting nature is not serving her well in the love department. And sadly, she remains unlucky in love (and STILL is not being paired with Kyo In). When she finally meets a man who is more in love with her than she is with him, he turns out to be an obsessive psycho. (Beware of men who fall in love at first sight and make too many grand gestures). Once she is able to extricate herself from his irrational attentions, she is drawn to an older man who owns a nightclub. He lends her a sympathetic ear when she begins to realize her feelings for Kyo In, and seems devoted to winning her affections. However, he too is not what he seems – as Ho Jung learns when the man’s wife kindly advises her to leave him alone. You get the idea. Ho Jung eventually stops looking for romance and focuses on her career, eventually finding her passion for photography. Although we continue to root for the engaging Ho Jung, for me the more satisfying romantic story line was the opposites attract connection between the serious Su Ji and the frivolous Ho Jae, who like Romeo and Juliet struggle to come together despite family opposition from both sides. Ho Jae is aimless and fun-loving, a handsome ladies’ man who treats Su Ji like a troublesome older sister while she silently pines for him. One day he offers to take her out and forgets to show up at the restaurant on time. This is the straw that breaks the camel’s back for Su Ji and she refuses to speak to him again, despite his badgering her. The withdrawal of Su Ji’s friendship finally makes him recognize what a truly good and kind person she is, and to appreciate her attractive qualities – loyalty, sweetness, and caring – even if she isn’t the prettiest girl in the world. He pulls out all the stops to win her back, and in the process, the two acknowledge that they want to be together. However, since Su Ji’s family is wildly disapproving of her having anything to do with such a slacker type, their romance is conducted in secret for quite a while. Ultimately, they will wind up defying their parents to live together, but the path to romance is never smooth for these two despite their devotion. Su Ji is willing to wait for Ho Jae to grow up – little does she know how long that process will take! This romance is all the more intriguing because it is not clear whether Ho Jae ever will rise the occasion, and along the way, a more appropriate suitor comes along to tempt her away from him. Su Ji becomes a dentist, and when a colleague declares himself to her, she is tempted to please her parents and marry him. (I found myself rooting for this guy too, a mature man instead of the childish Ho Jae). Will Ho Jae ever become the man she deserves? He seems to try hard, but we are never quite sure whether her faith in him is misplaced). Let us return to Ho Jung and Kyo In now, since theirs is the drama’s main thwarted romance. She only begins to realize she is interested in him as more than a friend when he starts dating the assertive Cha Hee, and she sees them kissing (a move which Cha Hee initiates and Kyo In is a little embarrassed by). At that point, Ho Jung is herself unattached and finds herself surprisingly jealous of their romance. The simmering attraction for Kyo In now comes dangerously close to a boil, and Cha Hee decides to try and put a stop to it. She gives Kyo In an ultimatum to distance himself from Ho Yung if he wants to continue their relationship. He complies, but is still secretly carrying a torch for his friend, while she is disappointed to lose his company. Ho Jung and Cha Hee have a heart to heart, where Cha Hee admits how much Kyo In means to her, and being a good friend, Ho Jung decides to discourage any approach from Kyo In. Eventually, though, Cha Hee realizes that despite all her efforts, she cannot compete with Kyo In’s feelings for Ho Jung. He is the first man she has ever really cared for, and her hurt feelings lead her to detach from her friends. She cuts off all contact with them, instead focusing on her new career as a flight attendant. She disappears from the canvas for a while, only to re-emerge a few years later as a successful fashion model who will help Ho Jae try to put his own good looks to use by breaking into that business. Once Cha Hee is out of the picture, Ho Jung and Kyo Yin cautiously begin to date, but their refusal to be completely honest with each other about their feelings and their equal obstinacy leads to misunderstanding. When Gu Yin and Ho Jae enter the military together to fulfill their national service obligation, the romance between Kyo Yin and Ho Jung falls apart (not for any really good reason, but simply because these two do not know how to talk to each other), while that of Su Ji and Ho Jae strengthens. This couple are really sweet together. In a touching scene, Su Ji sneaks out of the house to accompany Ho Jae to ‘boot camp’ and is in such a hurry she forgets to put on any shoes. Ho Jae removes his own shoes for her to wear temporarily and they go to a store where he buys her a new pair. She promises to write him a letter every day while he is away and he is deeply touched to have this loving girl in his life. Three years pass as the young men complete their military service. When Kyo In and Ho Jae return home to resume their lives, Ho Jae still has no real plans or goals, and Su Ji, who is now a practicing dentist and working with a handsome colleague, is beginning to wonder if he will ever be capable of building a life with her. Ho Jung is busy pursuing her interest in professional photography. At this time, Cha Hee also comes back into their lives, more stunning and inscrutable than ever. Kyo In’s career takes off when he meets a wealthy young entrepreneur whose father has given him start-up money for his own business and who hires him as a partner. The two young men become friends, but then, for the first time, we get one of those truly remarkable coincidences that are usually prevalent in the average K-drama when this new friend (Jae Hwang Lee) turns out to be Ho Jung’s first love classmate Jeon In. Kyo In is caught in the middle when Jeon In and Ho Jung rekindle that early relationship, though he is much more keen than she is (you would think he might get the hint since she never really smiles around him). The love between Kyo In and Ho Jung has never really died, but they still resist declaring their feelings. Unfortunately, Ho Jung’s mother is delighted that her daughter is being courted by a rich young man and tries to foster that relationship, further confusing poor Ho Jung. What’s more, Jeon In soon proves to be that K-drama staple, the ‘other man’ suitor who refuses to give up his pursuit even when the lady is obviously not in love with him. I will not reveal more about the plot, because there actually is not much of one – you either care about seeing what happens to these characters or you don’t. I found myself feeling enormous affection for everyone, though by the last few episodes I became quite exasperated with the on-again, off-again relationship between Ho Jung and Kyo In. It was especially frustrating given that there was primarily ‘manufactured’ rather than genuine conflict keeping them apart. Most K-dramas warm your heart because the romantic couples are so committed to being together. In We Are Dating Now, these two seem determined to find reasons to stay apart. In contrast, Ho Jae and Su Ji are the real deal, two people whose love grows stronger as they mature and who are despite being very different, are just right for each other. Theirs is the romance to watch, and it is both funny and touching. There is no real villain here, no real tension; it is just a nice story told with warmth and humor. Ho Jung is depicted as a girl whom everyone likes – and as portrayed by Chae Rim it is easy to see why. Her Ho Jung is a lovely character, full of spirit, without a mean bone in her body, and she is just adorable. You would certainly want her as a friend. If you can find a more gorgeous man on the face of the earth than So Jisub, let us know ladies! So Jisub is as always charismatic and extremely attractive as a noble but conflicted character. He is completely convincing as a decent young man who just doesn’t know if the woman he loves really feels the same. Sang Woo Kwon in his literal flower boy days! All the supporting performances are well done. Yoon Young Choi as Cha Hee stands out because of her striking looks and rather stony delivery. She is not the most expressive actress but she makes the impact she is supposed to in this role. I loved both the fathers of Ho Jung and Su Ji and hissed at their overbearing mothers. The entire drama is light-hearted without a single scene to make you cry – but I guarantee you will chuckle often. I really enjoyed living in the world of Ho Jung and her friends for 16 episodes and missed them when the series was over.